Listen to "Indiana EdCast Episode #18" on Spreaker. Today we are joined by Jeff Hutson of the INPRS. Jeff is the Communications Director for INPRS. We appreciate you taking the time to join us with what has to be a very busy time for a communications director with the changes going on in just a few short weeks from now. A new website, new payment providers and a new fee structure all taking place on January 1st. Happy New Year. Since my time at IRTA, Jeff has been invaluable to me in answering questions, finding solutions for problems of our members and getting me information that I use for legislative purposes. I appreciate the relationship that IRTA and INPRS has established and Jeff is a big part of that along with members of your leadership team. We welcome Jeff and look forward to the information he will provide us on the changes going into effect on January regarding INPRS and other information about our retirement system. Jeff let’s give a little background on INPRS and then we will switch our focus to TRF. When was INPRS established as the umbrella organization over the state retirement funds? What are the funds/groups under INPRS? INPRS has Board of Directors and most groups have at least one member on the board. I think at this time you have 2 educators on the INPRS Board. How is the board selected? Am I correct in assuming Public Employees and Retired Teachers are your largest 2 groups in #’s and $$. Am I correct that all retirement funds are well funded under your management except for the Pre ’96 Teacher Retirement Fund which was originally established as a pay-as-you-go fund? But the Pre’96 is stable with the steps the legislature took back in 1995 and that they continue to fund. Upcoming changes, first the payment provider is switching to State Street. INPRS has used a payment provider since 2010 or longer? Do state regulations or procedures require you to bid services out through the RFP process when looking for 3rd party service providers? You also have used a 3rd party for your call center, which I believe was Xerox and then an affiliate of Xerox. Who will now be providing that service? Another change in January will be that TRF members and other funds with annuities, (ASA) will begin to see a $3 monthly fee being taken out of their annuity accounts. My understanding is that anyone that rolled their annuity into their pension payment or has withdrawn their annuity will not be charged a fee. This is just those that still have an annuity account. Tell us about this change and how it came about that the members will now pay a management fee. What will be MetLife’s role with the annuities? How much control will INPRS have over the annuities? Tell us about the new website. Thank you Jeff for taking the time to help educate, inform, clarify us about the reasons for the changes at INPRS. Again, we appreciate the support and service that you give to IRTA and our members. Thought of the week: After speaking with Jeff today and what all is going on at INPRS, this quote comes to mind: “Always keep several irons in the fire”. 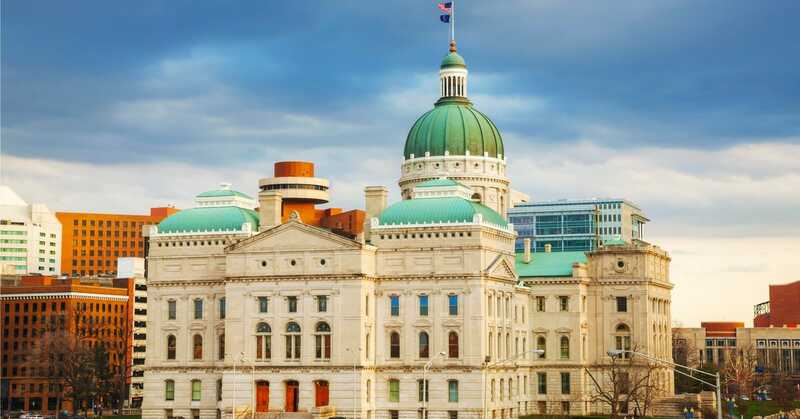 Our Indiana EdCast will again be weekly during the General Assembly starting in January with our chief lobbyist Steve Beebe. Thank you for listening to Indiana EdCast from Tom Mellish of IRTA and our special guest today Jeff Hutson from INPRS. Until then stay warm and stay healthy and hope everyone has a great Christmas and holiday season.